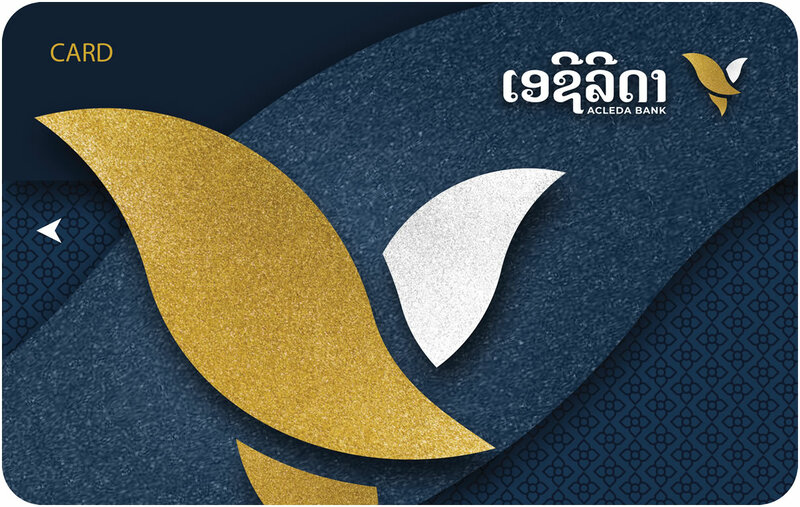 To contribute to economic development in Lao PDR, ACLEDA Bank Lao developed a new electronic banking service, ACLEDA Card. 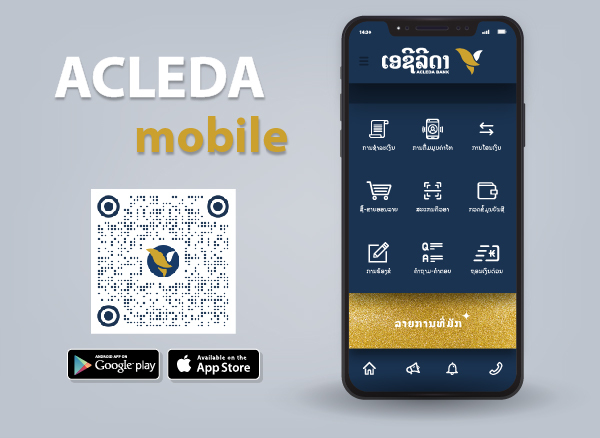 ACLEDA Card is an ATM card validly issued by ACLEDA Bank Lao to accountholders to enable such holders to operate the account through ACLEDA Bank's ATM both in Cambodia and Laos anytime — 24 hours a day and 7 days a week. Being able to make withdrawals any time, 24 hours a day and 7 days a week. Opportunity for using any other banking services. Having a banking account (savings account or current account) with ACLEDA Bank Lao. At least 18 years of age. If under 18 years of age, you can obtain a supplementary card. Having a valid identity card. a valid identity card of the supplementary cardholder and primary cardholder. any other documents required by ACLEDA Bank Lao. Supplementary card can be offered to customers including under 18 years old upon the request of the primary cardholder. Any reference to the ACLEDA Card issued to the primary cardholder shall also apply to the supplementary card. The primary cardholder shall be liable for all cash withdrawal, including all charges incurred through the use of the supplementary card, as well as for any breach by the supplementary cardholder of ACLEDA Bank Lao's terms and conditions. ACLEDA Card can be issued to different joint accountholder if the terms and conditions of signature for the joint account are "Anyone Can Sign". Only the cardholder is allowed to use the ACLEDA Card. Therefore, additional cards should be issued to other accountholder upon requested. ACLEDA Card is issued without any visible embossed expiry date. The card will last for varying lengths of time. It can last up to or over 5 years depending on the usage. When the card is failed, please notify ACLEDA Bank Lao. Registration fee: free of charge. Cash withdrawal from ACLEDA Bank Lao's ATM: free of charge. Cash withdrawal from ACLEDA Bank Plc's ATM: free of charge. Account maintenance: free of charge. Card replacement (lost, damaged, or stolen): LAK30,000 per card. ATM card does not pick up over six months: LAK30,000, USD5, THB150. Settlement the goods or services by ACLEDA Bank Plc's POS: free of charge. These fees can be applied in all currencies for all accounts with ACLEDA Bank Lao. Maximum transaction is up to 10 times per day. Maximum amount of withdrawal is up to LAK8 million per day and LAK2 million per transaction. Maximum amount of settlement the goods or services by ACLEDA Bank Plc's POS is up to USD2,100.00 or KHR9,000,000.00. Maximum amount of settlement the goods or services by ACLEDA Bank Lao's POS is up to LAK25,000,000. If your card is lost or stolen or your PIN is disclosed or comes into the knowledge of a third person, you must immediately notify the bank. If this notification is given orally, it must be confirmed in writing within two working days.